I’ll forgive you for thinking all the buzz around Melbourne Central over the last weekend has been due to cosmetics giant Sephora. 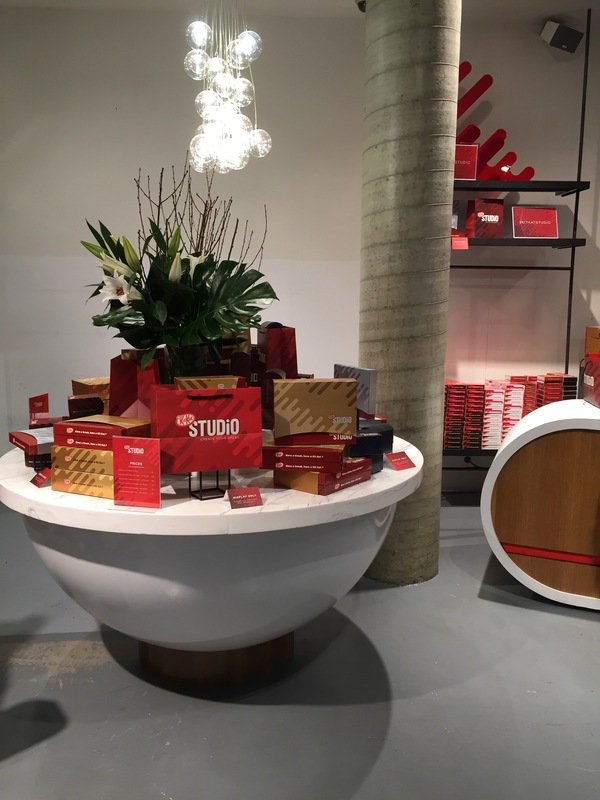 However for foodies and lovers of chocolate (basically everyone) there’s been something even bigger to get excited about, the opening of Kit Kat Studio! 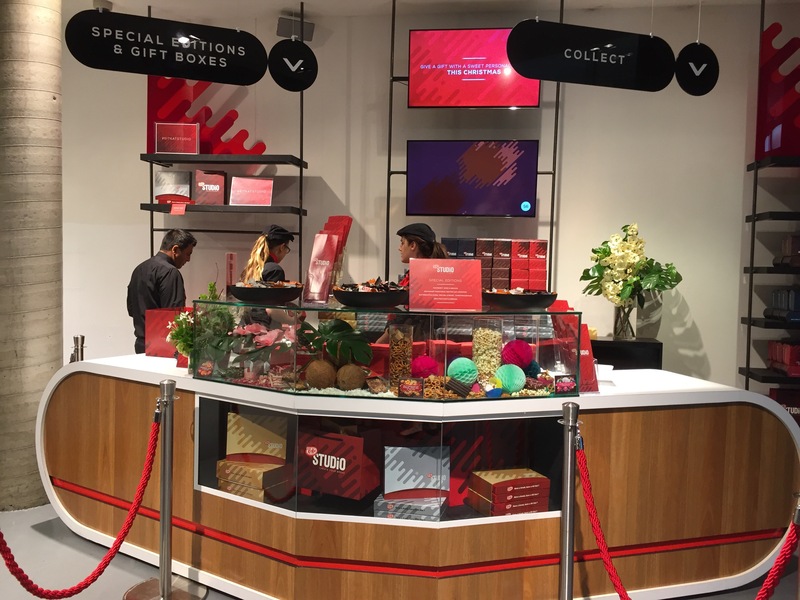 It’s a wondrous place filled with chocolate, toppings, more chocolate and a little bit of Christmas cheer. At the back you’ll find chocolatiers, creating something delicious, just for you. But there’s also a range of ready made gift packs to pick up on the go. We arrived soon after opening and faced only a short wait to be let inside to make our custom orders. 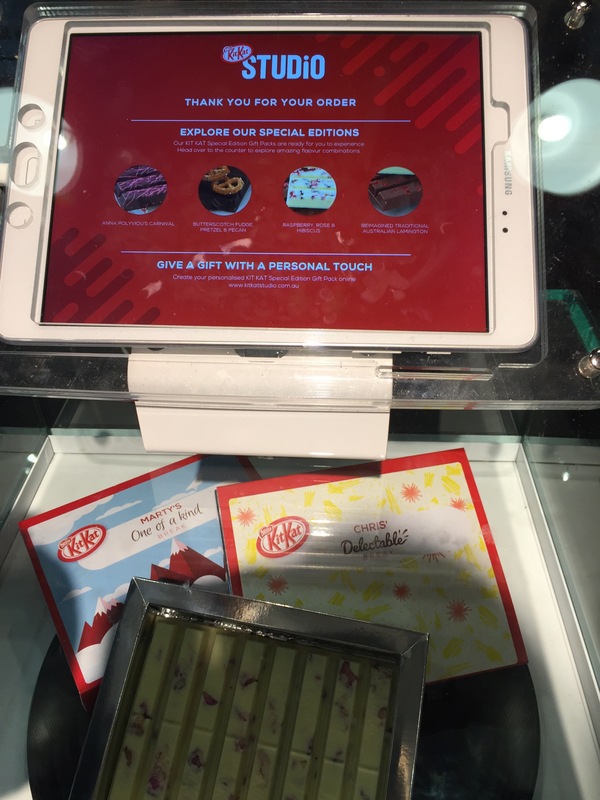 There’s a snazzy set up of terminals to customize everything about your Kit Kat. Starting with chocolate, there was white, milk and dark available. 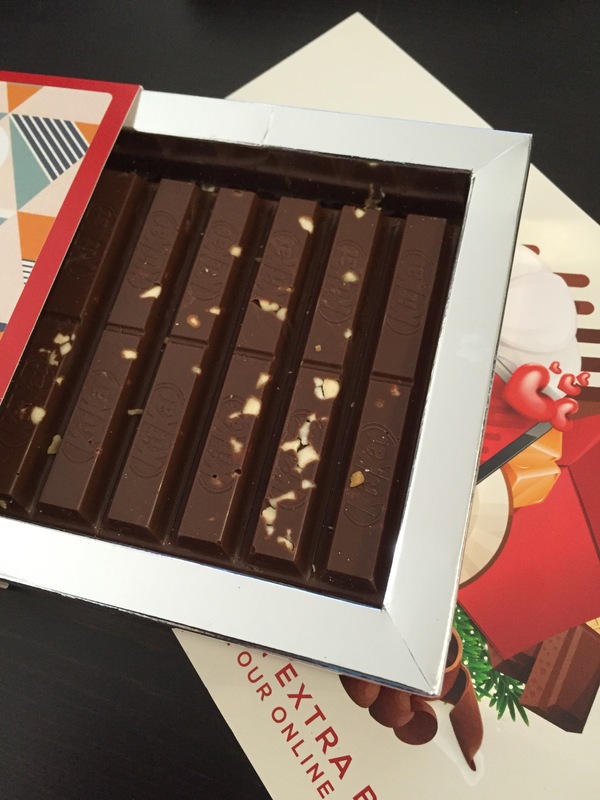 We opted for a classic milk chocolate base, before moving on to the toppings. The selection of extras is huge, making the decision agonizing. 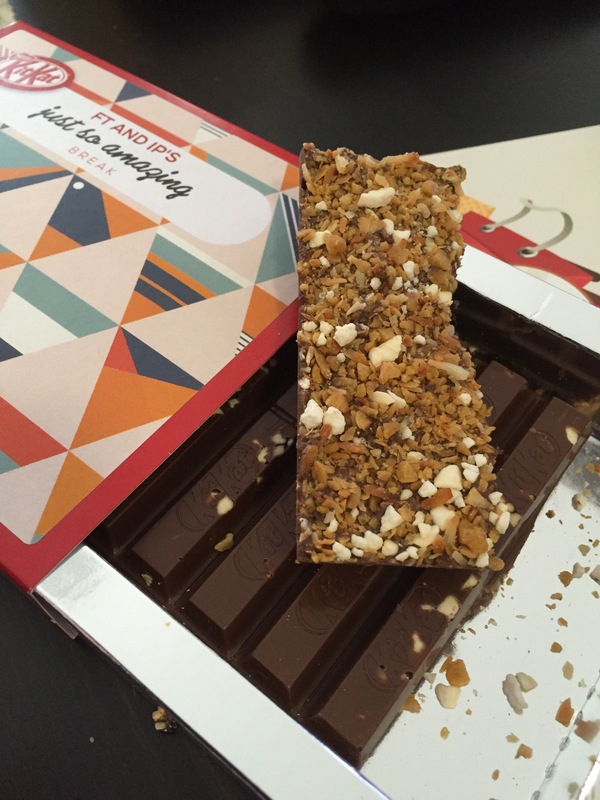 There’s so much on offer, such as brownie bits, nuts, fruits like raspberry, caramel… The list goes on! You have three choices, so use them wisely. We ended up going for a caramelised meringue, with honeycomb shards and coconut flakes. Once your selection is made you can go on to name your creation, choose a box design and place your order. A single Kit Kat creation will set you back $14.99, a staff member will come over to your terminal for payment and you’ll get an order number for pick up. Here’s what they don’t tell you (or at least they didn’t tell us) – it may take up to 180 minutes for your creation to be hand made and set. Three hours is rather a long time so if you’re planning to get some shopping done place your order beforehand and wait for a text to advise it’s ready for pick up. If you work in the city or it’s easy enough to come in again we would suggestion you pick it up on opening the next morning, which is exactly what we ended up doing. 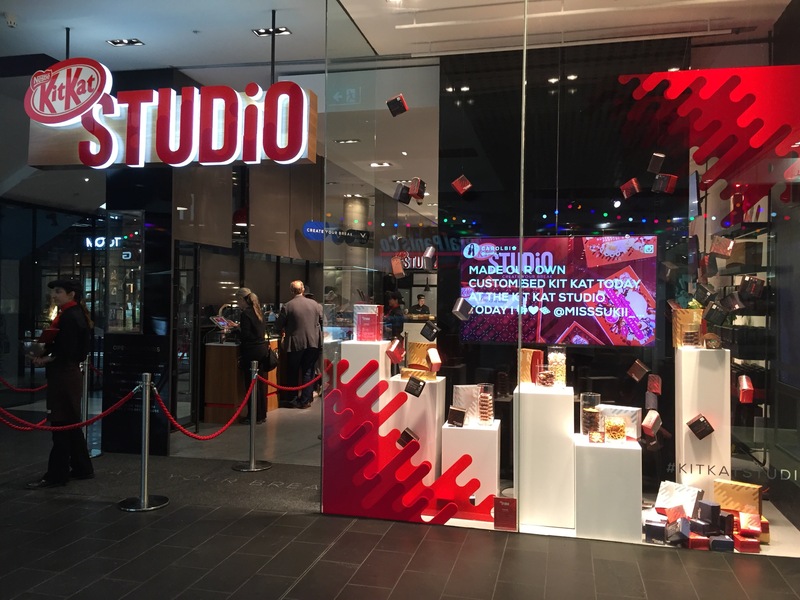 The best part though is what’s hidden underneath: The Kit Kat Studio will be open all week on the ground floor of Melbourne central (the Shot Tower end) for the near future and is well worth a visit to make your own Kit Kat creation or to pick up a unique gift in the lead up to Christmas! You can also order pre-made flavours online to pick up in store here.